As i’ve said before, I’m all about neons in the summer! 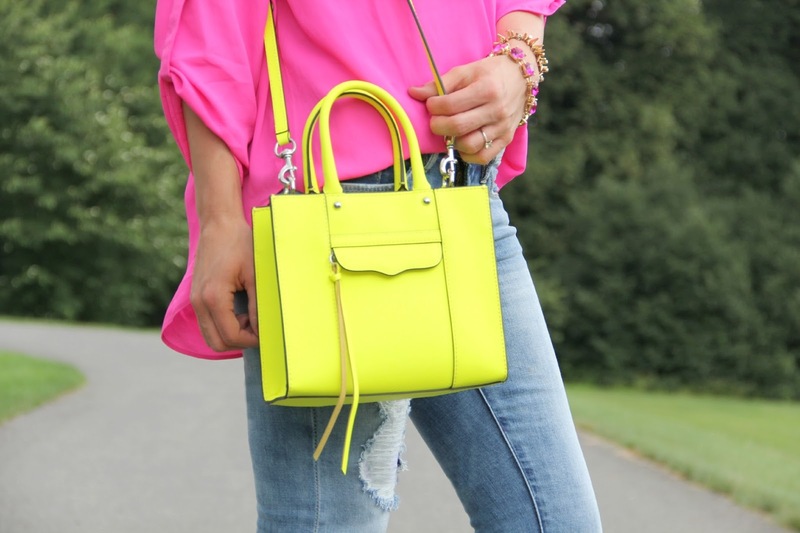 I’ve been eyeing this neon yellow Rebecca Minkoff bag for a while now, and finally got one! You better believe ill be wearing this statement bag often to give my outfits a little pop of color. Also, this adorable pair of Blank Denim is finally BACK IN STOCK in ALL sizes!!! Hurry and grab yourself a pair before they sell out again! Previous Post Red, White, and Blue! I love everything about this outfit. So colorful and that bag!! Love the look! I have the same neon yellow bag and I love how it adds a pop to any look. I need to get some pink to wear with it. I am loving those colors on you! Those heels… I need them!!! Your husband did a great job with the photos. I love all the neon detailing, especially the shoes. I've been working hard to talk myself out of buying the Target version. Such a great shock of color and your shoes…obsessed! I would so wear that purse all summer long. They can truly go with so many things. Those shoes ♥♥! I need a pair ASAP!